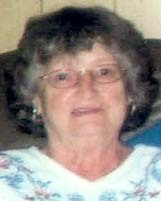 Mildred “Millie” Metzler, 83, of Middletown, entered into eternal rest on Wednesday, November 18, 2015, at her home after a courageous battle with cancer. Mildred was born on August 16, 1932, in Marietta, and was the daughter of the late Paul and Esther Alberts Hinkle. She and her husband were the owners of the former Metzler’s Nursery in Londonderry Township. She was a retired machine operator at Armstrong Carpet & Tile Co. at their Marietta Plant. She was of the Protestant faith and attended Royalton Emmanuel United Methodist Church. She enjoyed gardening, cooking and sewing, but especially the love and care she received from her family. In addition to her parents, she was preceded in death by her son Robert M. Metzler who passed away in 1974. She is survived by her husband of 65 years Martin Metzlerson, son David T. Metzler, two daughters Cynthia L. Metzler, and Janice L. Thomas and her husband Richard, all of Middletown; two brothers Jacob Hinkle of Clay, Pa., and Paul Hinkle and his wife Doris of Mountville, Pa.; sister Madge Frech and husband John of Florida; four grandchildren; and eight great-grandchildren. 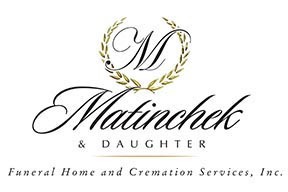 A tribute to her life will be held on Wednesday, November 25, 2015, at 11 a.m. at the Matinchek & Daughter Funeral Home and Cremation Services, Inc., 260 E. Main St., Middletown, with the Rev. Willie Caraballo officiating. There will be a viewing from 10 a.m. until the hour of the service on Wednesday at the funeral home. A viewing was held from 6 to 8 p.m. on Tuesday, November 24, 2015, at the funeral home.